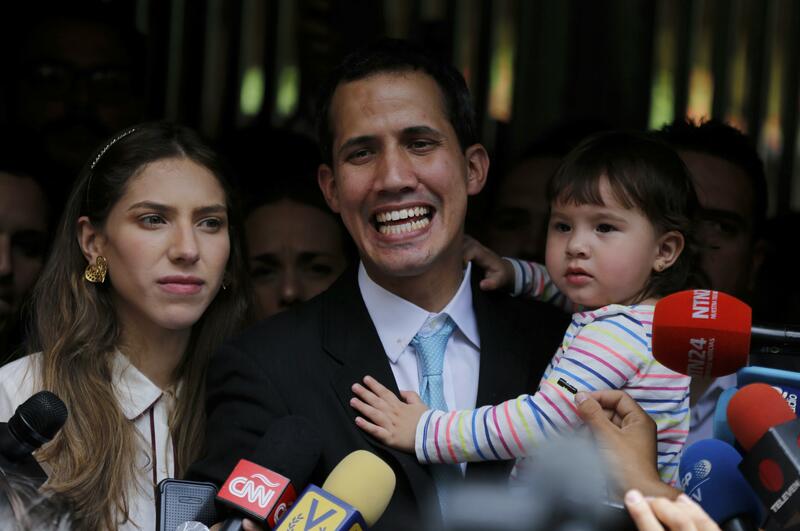 Thu., Jan. 31, 2019, 12:02 p.m.
BRUSSELS – The European Parliament is calling on the European Union’s member states to recognize Venezuelan opposition leader Juan Guaido as the interim president. The 28-member bloc is still defining its position on the crisis there amid differing opinions among members about what course of action to take. Group members are France, Germany, Spain and Britain from the EU, and Ecuador, Uruguay, Bolivia and Costa Rica on the Latin American side. Mogherini said the initiative would be reviewed after 90 days and the group would be terminated if there was no progress. Earlier, Mogherini called on the South American country to release journalists who were arrested covering the crisis. On Thursday, Spain’s state-run EFE news agency says three of its journalists were freed after being detained overnight in Venezuela’s capital. Two French journalists were also freed from detention, and two Chilean journalists were ordered deported. Published: Jan. 31, 2019, 12:02 p.m.